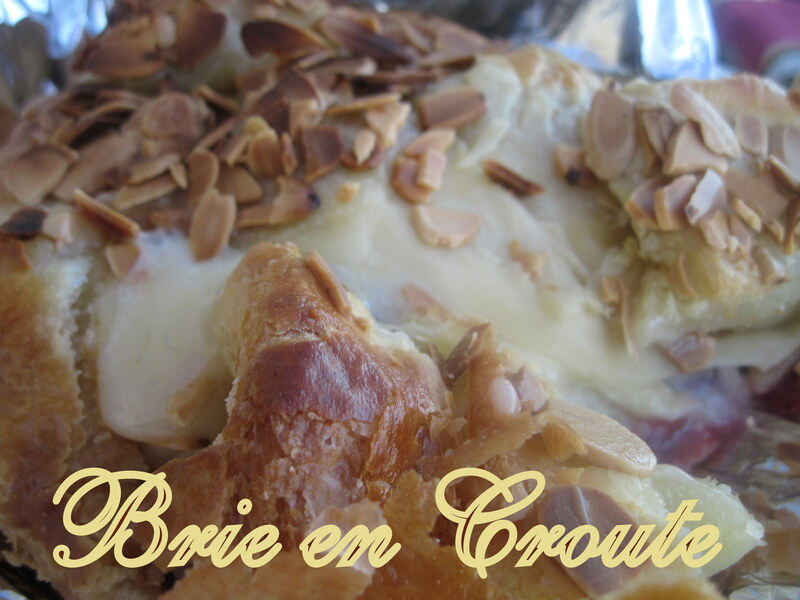 Baked Brie or Brie en Croute is the perfect appetizer to impress your friends and family. It looks festive and it tastes amazing! Puff Pastry and brie…how can you go wrong? Add whole cranberry sauce and toasted almonds and you have a winning appetizer. I meant to take a picture of this beauty when it emerged from the oven, but it got whisked away and devoured so quickly, so this is the picture that you get! It still looks delicious! 1 Preheat oven to 350°F Spread almonds in one layer on ungreased shallow baking pan. Bake for 10-15 minutes, stirring occasionally, until golden. Set aside. 2 Reheat oven to 400°F. 3 In small bowl whisk egg and water; set aside. Unfold pastry sheet on lightly floured surface into a 12-inch square. Cut off corners to make a circle. 4 Spread cranberry sauce in center of circle the same size as Brie round. Top with 2 tablespoons each of cranberries and toasted almonds. 5 Place Brie over mixture. Repeat layering with remaining cranberry sauce, cranberries and 2 tablespoons almonds. 6 Brush edge of the circle with egg mixture. Fold pastry up over cheese to cover. Trim any excess pastry; press to seal. Brush seam with egg mixture. Place seam side up onto baking sheet. 7 Brush with egg mixture; sprinkle with ¼ cup almonds that have been coarsely chopped. 8 Bake 20 to 25 minutes or until cheese is soft and just begins to melt. Allow pastry to cool 30 minutes before serving. Serve with assorted crackers. This looks delicious! I can’t wait to try this recipe. Thanks so much for linking up to the Winter Wonderland party.